It is almost the time of year again, 31st October is almost here. So I made a really traditionally card this time. Of course in the colours purple, green and orange, some pumpkins, spiders and black accents. 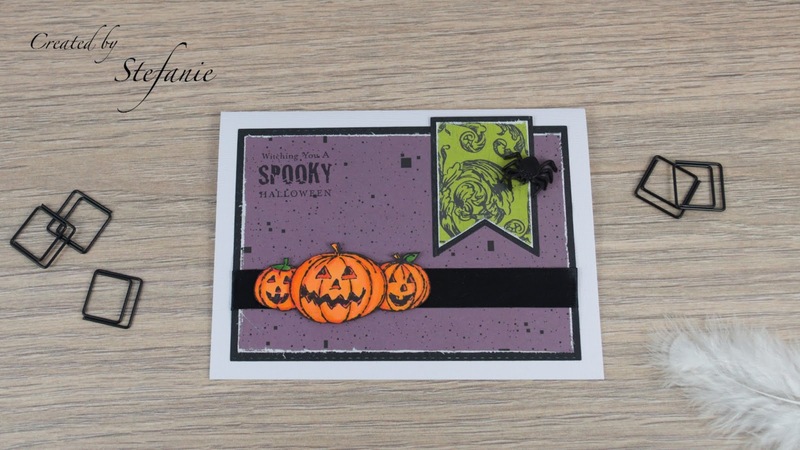 I used the Penny black stamp set "Spooky" for the sentiment and pumpkin image and enter the autumn slender challenge from Penny Black and Stamping Sensations as this is an October card in the more spooky way as well as the Halloween challenge from Dragonfly Journeys. The green design paper is from the Echo Park Paper set "Chillingsworth Manor" and the purple one is from Anna and Claras Design Paper (they do not have set names, so it is the purple one). The little spider in the right corner is an old button I flattened for this purpose. 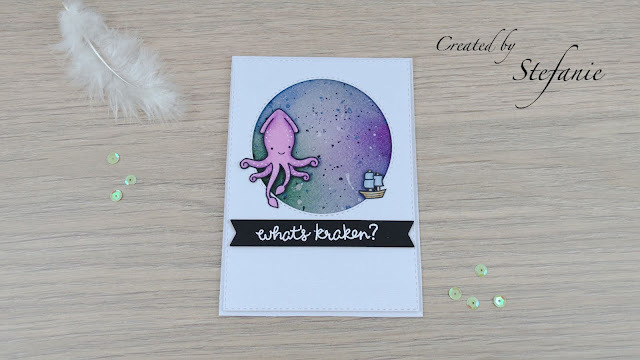 All design paper corner got a bit distressed to add some more dimension to the card. The black ribbon grounds the pumpkin to the card and finishes it with some extra black.